The City University of New York (CUNY) system is the nation’s largest urban public university, with a rich history that dates to the founding of City College in 1847. Each CUNY college maintains its own archive, but there are other, more specialized collections as well: below are a few highlights. 1. City College Archives and Special Collections – The oldest of the CUNY colleges, City College was established in 1847 as the “Free Academy of New York.” During the 1930’s and 40’s, it became known as a site of leftist political activity, referred to as “The Little Red Schoolhouse” by a Hearst publication at the time. The archive includes an ongoing photographic inventory of development in Harlem, departmental records, and digital copies of the student newspaper, The Observation Post, from 1947-1979. Photo credit: © CUNY Dominican Studies Institute. 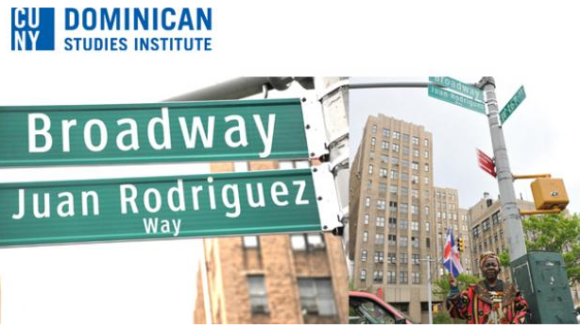 Also located at City College is the Dominican Studies Institute Archive and Library, the “first and only institution in the United States collecting primary and secondary source material about people of Dominican descent.” Founded in 2002, the Archive has grown to become “the largest specialized collection on Dominicans in the United States,” with materials by and about Normandía Maldonado (founder of the Centro Cultural Ballet Quisqueya), Tito Enrique Cánepa (artist), and other acclaimed individuals. 2. The Hunter College Archives were formally established in 1966, and maintain an archival record from the school’s founding in 1869. Prior to 1914, Hunter was known as the “Normal College of the City of New York,” and offered free higher education to women (becoming co-educational in 1964). Records include documentation of building expansions, faculty meeting minutes, as well as items pertaining to notable alumni. Additionally, Hunter College is home to The Center for Puerto Rican Studies (Centro) and the Archives of the Puerto Rican Diaspora – currently “the only archival repository nationwide exclusively devoted to documenting the Puerto Rican communities living in the United States.” Its original motto, “Aprender es Luchar, Luchar es Aprender,” reflects the early struggle to establish the center itself, amidst a CUNY-wide wave of student activism through the 1970’s. The Hank Kaplan Boxing Archive. Photo credit: © Brooklyn College Library. 3. 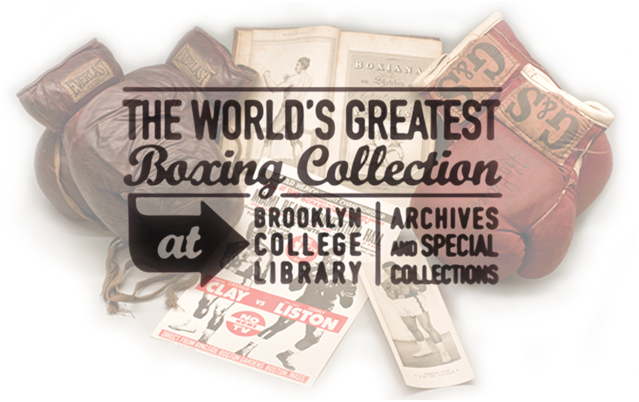 The Hank Kaplan Boxing Archive arrived at Brooklyn College to much fanfare in 2008. Kaplan was a renowned boxing historian, nicknamed “Lord of the Ring” for his enthusiastic and detailed knowledge of the sport. The archive amounts to 1,335 boxes of material – a massive trove of boxing-related books, publications, correspondence and memorabilia. Kaplan’s own files about individual fighters and training methods are included, as well as over 500,000 rare prints and negatives, newspaper clippings that dip into the late 19th century, and scrapbooks. If your interest is piqued, try exploring the CUNY Digital History Archive: an online portal to a few featured collections of material from the campus-based archives. These include Brooklyn College Feminist Trailblazers of the 1970s, Student Liberation Action Movement (SLAM! ), and documents relating to the SEEK program’s “fight for racial and economic justice.” The Graduate Center Library also has an extensive subject guide on the topic of Archival Research, which provides a helpful orientation.